A little tired of merely building fancy guitars and working very product oriented, Swiss Luthier Lukas Brunner felt challenged to invest part of his time and skills more into young people, especially the less privileged. During the same time, Santosh Gnanakan has taken over the leadership for ACTS from his father Dr. Ken Gnanakan and he wanted to invest into more practical projects again, reviving some of the ACTS roots. 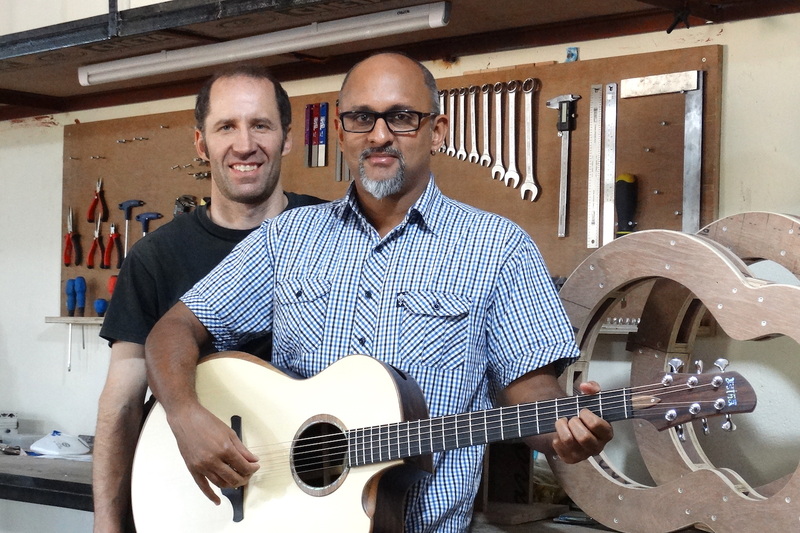 When Lukas was introduced to ACTS in Bangalore in January 2014 by his friend Jonathan Michael from Canada (who has grown up in Bangalore himself), there was an instant connection between Lukas and Santosh and they started dreaming about running a guitar building company as a social enterprise. The goal was to offer jobs special job opportunities to young Indians, to build high-end guitars rarely seen in India and to support children in need with part of the sales. Thus began the journey of Astha Guitars! 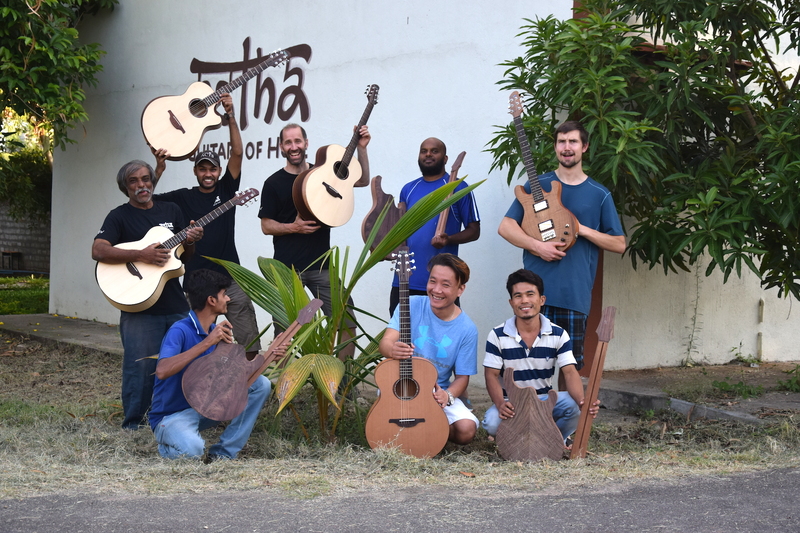 After setting up our first workshop on ACTS’s Rayasandra Campus, Lukas started coming to India several times a year to run 2-3 week guitar building training sessions with the first crew. Even though things have started off surprisingly smooth, there suddenly were more and more unexpected obstacles to overcome, which almost caused them to shut down again. Besides some drastic changes in team, which was too soon since the company’s inception, the biggest challenge was when they were forced to relocate the entire guitar workshop to another part of the city after 3 years into business. Thankfully, after a long recovery they now have a great new facility and are perfectly set up again! It has been anything but easy to start up a high end guitar production in India, but with much prayer and endurance slowly but surely the dream of Astha Guitars is becoming a reality!